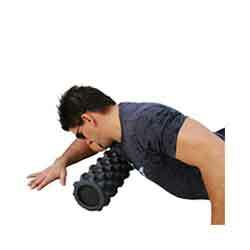 Use this SMR exercise AFTER the Lats Roll. This SMR exercise is to address the layers of knots & adhesions in your delts. If you have tightness or discomfort in your shoulders, deep dull aches in your upper or mid back, or general shoulder & neck issues, then this exercise is likely to help. 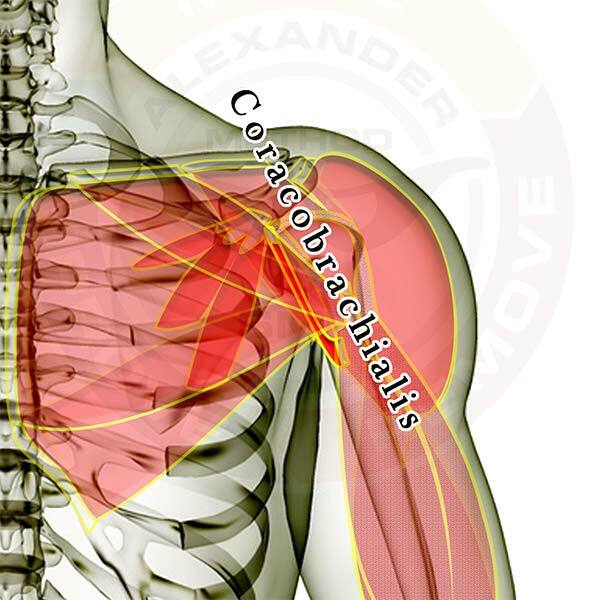 Pictured above is the coracobrachialis muscle. It is a small muscle that pulls your upper arm toward your head & towards your chest at the same time. Typically shoulder pain is caused by one or more of the other muscles that attach to or cross the shoulder joint. 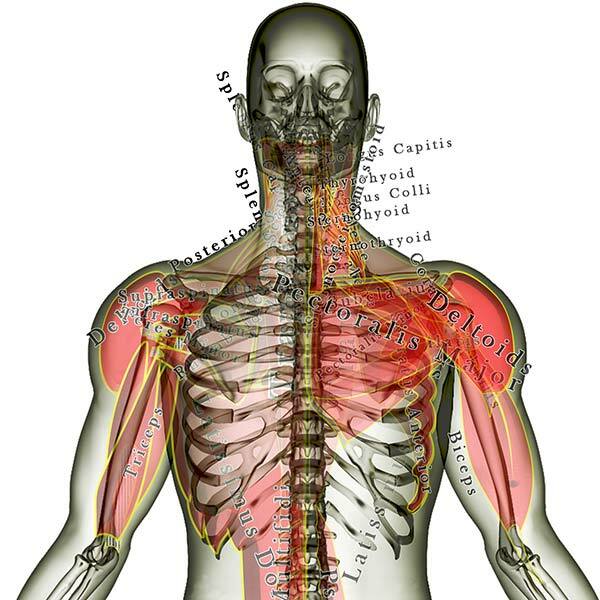 Take a good look at the pecs (especially the pec minor) and the rotator cuff muscles if you have shoulder discomfort. Muscles that attach to the head or neck & the shoulder blade (scapula). 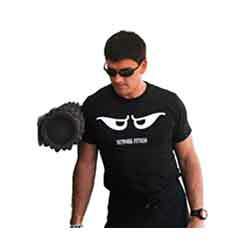 Muscles that cross the shoulder joint (attach somewhere in the torso and to the upper arm). Muscles that attach to the shoulder blade (scapula) & the spine or ribs. Pictured above are all the muscles that attach to the shoulder blade or cross the shoulder joint (there are a BUNCH of them). The muscles are layered, showing how some of the muscles are covered by the others. All of the muscles are see-through so that you can appreciate the location and size of each muscle relative to the others. 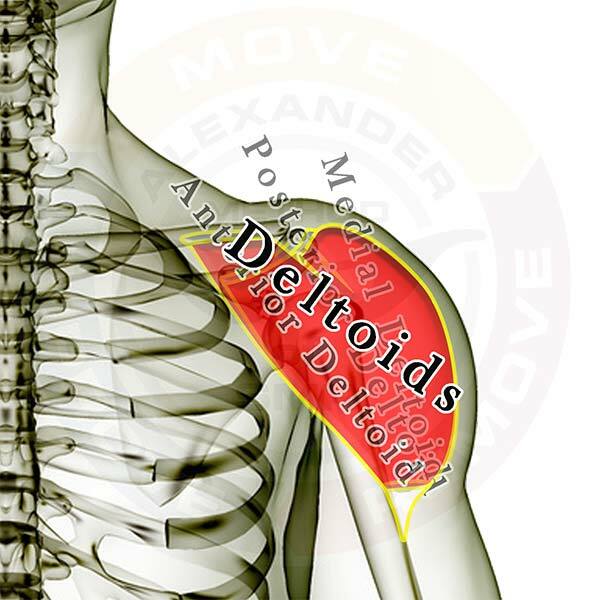 Click here to see the deltoid muscles as a group. 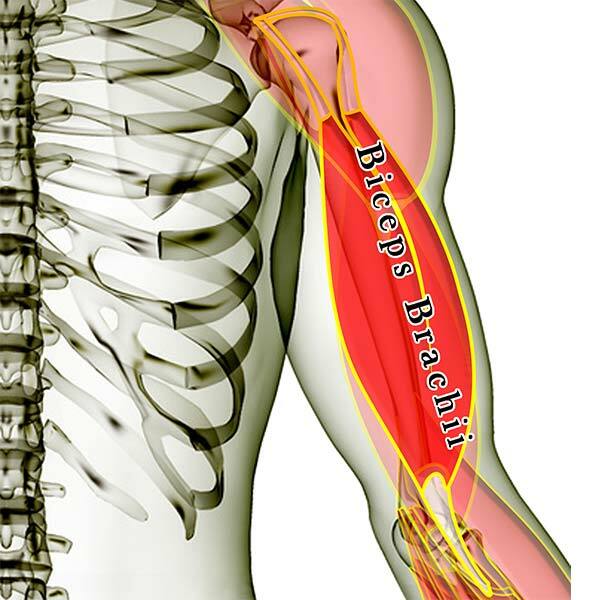 Pictured above are the deltoid muscles. There are three sections which pull your upper arm toward your head. The front portion (anterior deltoid) pulls up and forward, the middle portion (medial deltoid) pulls your arm straight up away from the side of the body, and the back portion (posterior deltoid) pulls the arm up and back. Typically shoulder pain is caused by one or more of the other muscles that attach to or cross the shoulder joint. If you have shoulder discomfort take a good look at the lats, the pecs (especially the pec minor) and the rotator cuff muscles in addition to the delts.